A tense and compelling story of mafia conspiracies - and murder. With nothing to lose, and a legal safety net to protect all profits, Harry Donohue is on to a winner. By publishing the story of Bobby Rizzoli, and the notorious New England bank heist, Harry hopes to put an end to the financial worries that have been hanging over him and the crooked accounts of the family printing business for good. The more Harry knows though, the more complicated things become, and in a world where knowledge can be dangerous, Harry finds himself at the center of a sinister political scam - one far bigger than he ever anticipated. 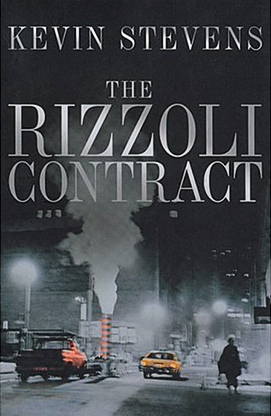 Caught up in the dealings of the bureaucratic underworld, the difficulty Harry now faces is not whether he can pull off the Rizzoli deal, but who he can trust to help him do it.